Fans are still trying to figure out what that Death Stranding teaser actually means. Ever since Hideo Kojima took Sony’s E3 2016 stage and revealed a trailer for Death Stranding, his new game, fans haven’t stopped trying to decipher its meaning and look for hidden clues. The trailer was full of symbolism, and images that could be interpreted in a number of different ways. Although the master is enjoying reading all of this speculation, he made some comments about a couple of the theories the community shared since the reveal. “I read that one! That one is off,” Kojima said about the theory that the baby is a clone of Norman Reedus’ character, speaking to Eurogamer. Kojima also said he thought fans would think that Reedus is playing Kojima and the baby is in fact Metal Gear Solid, to symbolise the designer’s relationship with former publisher Konami. “Part of the trailer is based on the song ‘I’ll Keep Coming’ [by Icelandic band Low Roar]. I will keep coming; Norman Reedus and [long-time design collaborator] Kyle Cooper will keep coming back; waves are a big theme. As for Konami? I thought people might link it but there’s no connection in there,” added Kojima. 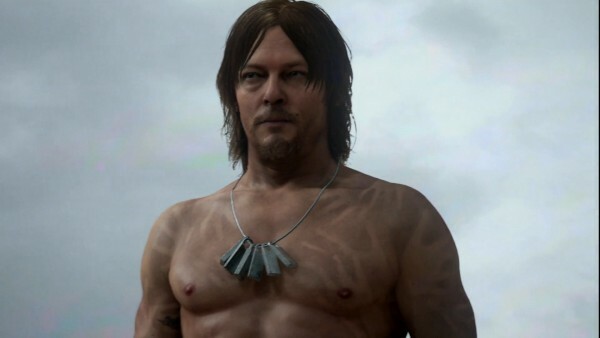 Elsewhere in the interview, Kojima reiterated that the teaser is representative of the in-development game, and that yes, it will feature Norman Reedus as a character alongside the setting shown off. Death Stranding is still a ways off.